Happy Labor Day! Today’s weekday ‘best of’ includes a 93-year-old gay veteran finally honorably discharged, finding out the Gen Z ‘guru’ exists and two amazing Niagara Falls stories. We spoke to Hubert Spires who received a dishonorable discharge from the Air Force for being gay. It was finally reversed 69 years later. Hubert shares some insights about being gay in the the 40’s, dealing with his partner & his parents and he outs a famous news man. 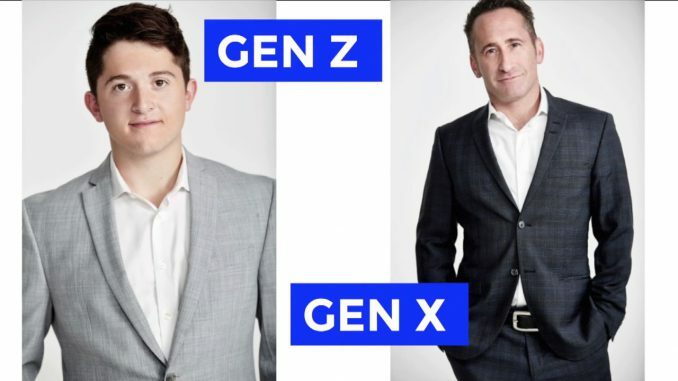 Gen Z guru Jonah Stillman & his dad David Stillman are running a great scam on corporate America that involves lecturing workforces about open office concepts & communicating in symbols & emojis rather than words. we found out about them last year when 18-year-old John was hired by the Minnesota Vikings. The Kirk Jones story was the most underreported death of a man going over Niagara Falls. After talking about Kirk’s final stunt, we give one of the only survivors, Roger Woodward, a call to break the news to him & hear about his own harrowing experience.